Just as a cross-check, here is the relevant section from the WCC’s cycle framework, which this week was also passed – just a day before Government published their cycle framework. There is some parts of this that don’t quite make sense to me, but I’m sure that if I read through the full pile of info, it will become clear. The cycle route along the back edge of the motorway for instance – while parts of it make sense, such as using the unused route for extra motorway (the empty pillars that you drive past beside the motorway), I have to ask – is this an area that a cyclist would want to bike along? Apart from the noise and the fumes, it is halfway up a hill, and I reckon cyclists would be either scooting across it (east-west) or on the flat below it (ie Willis St). Your thoughts? 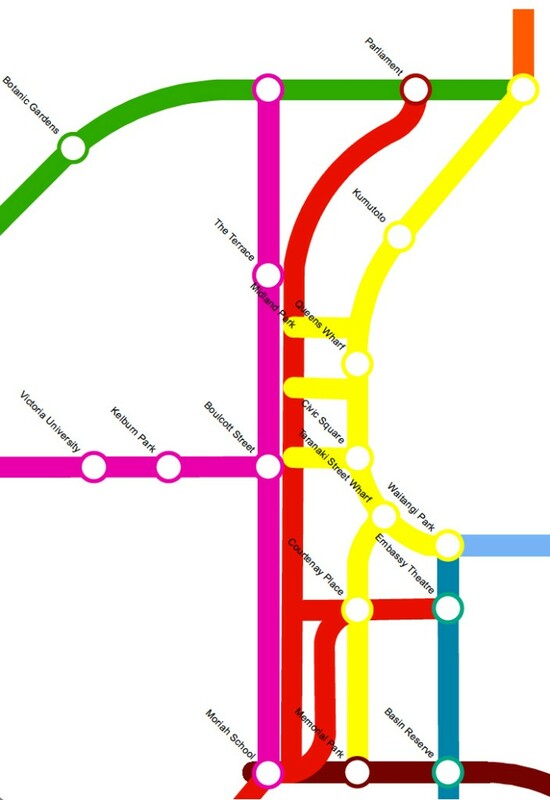 I’m also intrigued by the proposal for Taranaki St to be given a decent cycle lane. So far we have been promised a grand processional boulevarde there (thanks Kerry – what happened to that?) and now a cycle way as well – certainly something needs to be done for pedestrians and cyclists, as it is traffic carnage up there, with trucks parking in the middle of the road and offloading cars, long queues for the motorway, and back-roaders rat-running across the delicate lanes between. Some joined-up thinking needs to happen here. 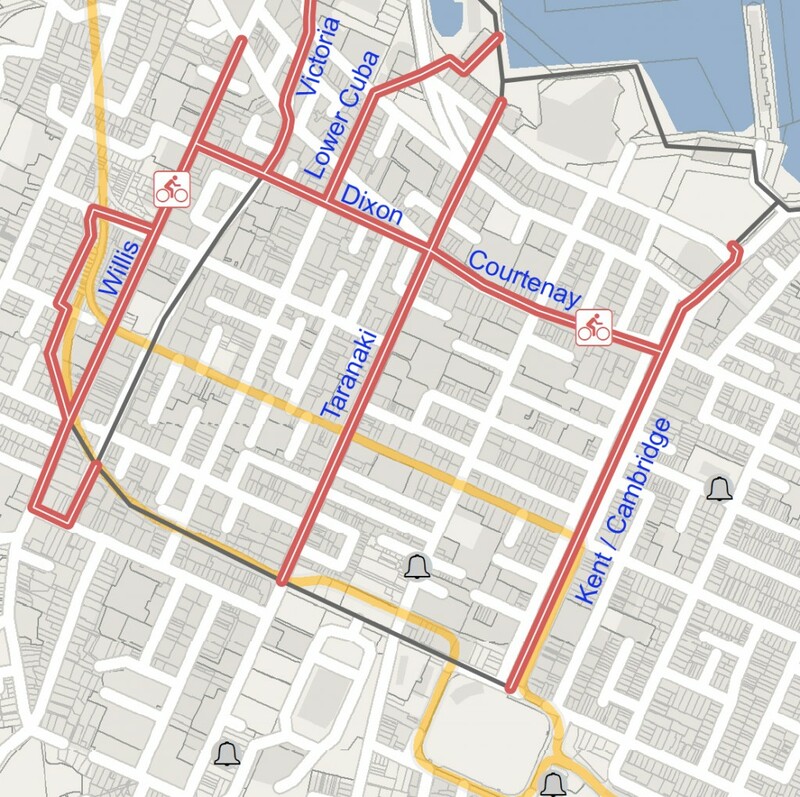 Seeing as how the Basin Reserve is such a death trap, cyclists either go straight through the middle of the Basin, or take a left up onto Tasman / Tory, which is now a nice quiet road for cycling on. Wouldn’t that be a better route for a decent bike path? My first comment would be: where do the cyclists want to go? Has anyone done any accurate research on that? NZTA? (presumably, no?) WCC ? If so, where? Could do worse than a Strava map Arthur. It looks like there’s an increase to cycling coming out of the National Land Transport Fund as well, which makes this all very interesting in the context of the funding that WCC has set aside in the Long Term Plan. 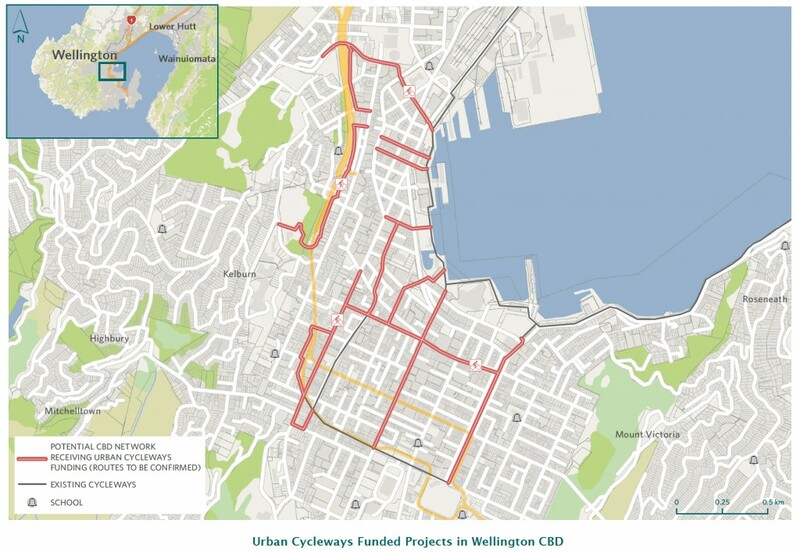 The Urban Cycling Programme is likely to drive the priority list of projects in the near term, having selected CBD and eastern suburbs already and with the expectation that Ngauranga to Petone will happen in some form. Council officers are expected to report on the priority list and packages in September. I was thinking the same thing about Tory/Tasman vs Taranaki, but there are connectivity issues from Tory St. Lots of lateral dead ends. Seamonkey, a Strava map will get you part of the way, but it’ll get you where the kind of cyclists who use Strava are cycling – i.e., basically the “lycra lobby”, rather than the casual cyclists that these routes are intended to encourage. 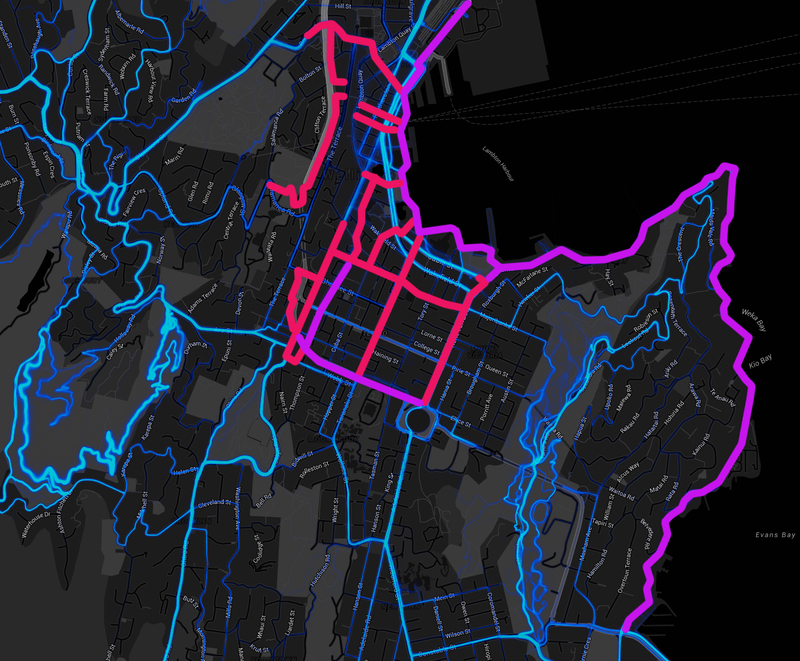 For instance, that heat map you link shows the ride around Zealandia – a purely recreational offroad ride popular at weekends, but basically irrelevant to commuter cyclists – as more popular than Willis St (or any other street in the CBD/Aro quarter). It’s a helpful start, but Strava is aiming at quite a different audience than the WCC is trying to encourage. Thanks Leviathan – it is really good to see you giving Eye of the Fish another go. I’ve always found it s very constructive and thoughtful site for discussion. Two quick points for now on issues you raise. 1 – the route along by the motorway – I assume is the one up Ghuznee and then along Buller and through the back route eventually to Abel Smith – Aro St – I use that quite a lot – avoids the traffic completely and is almost flat. 2 – Taranaki Street – main issue for doing anything major there – boulevard style – is that there needs to be some serious upgrade of underground services at some stage and the cost isn’t pretty – ie you don’t want to dig up the work on top when time comes to do the pipes. I’d like to understand a bit more about the Strava material – especially if it can be time separated – ie weekday/weekend. The more data we have about actual – and potential use levels the better we can target investment. We do have a massive opportunity to make a significant difference for cycling over the next three years with the additional Government investment, and I am really keen to do that – but under no illusions that it will be easy. Congratulations all around. The Cycling Framework proposes to “Implement cycleways if they are safer than what we have now”. Safety considerations vary and will dictate the outcomes where in the case of Island Bay safety as confirmed by NZTA was not an issue. It seems in the scheme of things Council will be wasting $ 1.3 million on The Parade in Island Bay where the money could have been spent more wisely on unsafe projects. Do it once do it right. 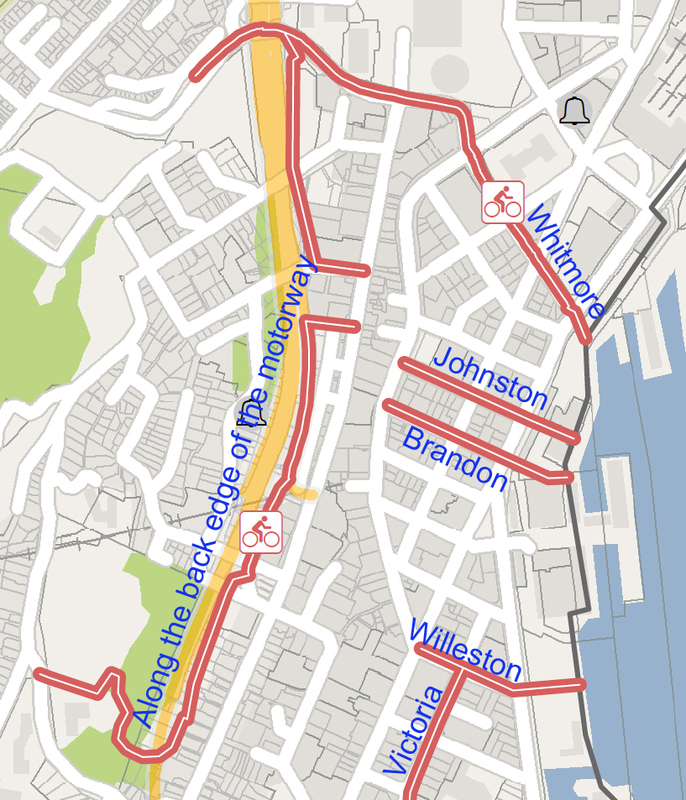 Asks politely, where did the first 3 Wellington Urban Cycleways maps come from? I did some searching (WCC and NZTA) but don’t know what I am searching for. Shoot me down in flames but I’ve wondered about the vehicular part of Cuba street. How about one way from Webb down to ghuznee. NigelTwo – sorry I’m late to reply, but yes, that’s the right link – it was in the first paragraph of this post ie click on the words “official announcement”. Swampy – The lower part of Cuba St is, sadly, the most dismal failure as a shared space. Nice new coloured bits still aren’t working. Bad design in the first place – too many car parks, and a straight road through. I honestly think most pedestrians walking there would have no clue at all that they might be allowed to walk down the middle of the “road” there. But yes – Cuba St, upper and lower, should all just be a pedestrian mall. No cars whatsoever. Bikes are tolerated fine at present – but its not really a cycle path, as cyclists normally want to go a lot faster than walkers. Councilor Foster – thank you for the reply – glad to hear that you use the back route by the motorway – but it seems to be going right along to near Aurora Tce? I can’t figure that one out. (Did I get the transposition from your WCC plan to the Gov plan right? Almost right?). Re Taranaki St – yes, I fully agree that there is a bit of underground stuff to be dug up and moved – but let’s see some plans on the table first, so we can all know about the issues, and discuss the options. For instance, there could be a single row of trees down the centre of the St, but there will be clashes with cars hiding in the median wanting to turn onto side streets, as well as the car-carriers unloading there. There could be a row of trees down each side, near the footpath, as virtually no one parks on Taranaki St – at the moment it is just endless lanes of traffic. But are they all really needed? I’ve been watching the traffic flows in Taranaki, and it is very uneven, dependent on the time of day. In the morning there are heavy flows turning right into Taranaki off Vivian, while in the afternoon, there is a big queue of traffic further up Taranki, wanting to turn into Karo Drive. In the mean time, the other lanes are virtually empty, and so cars speed down them at a fair rate of knots, making it super-hazardous for pedestrians crossing mid-block. You could probably cut two lanes from each direction and it would flow just as well. Worth exploring on paper before committing money to digging holes, i would have thought? Or, we could explore it here in public? MoT have bought the Strava data for Wellington and council offers are slicing and dicing it to work out where cycle commuters are riding currently. Strava has a commuting mode and you can determine where people are going on our roads when riding during the week-days. Of course, there are lots of cycle counts done on the road, as well. And then there’s Census results, Household Travel Survey data, and GWRC’s short trips active travel survey results to help form a pretty good picture of cycle-for-transport destinations. It’s fairly safe to assume that new cycle commuters generally want to go to the same destinations as current cycle commuters, but with safer infrastructure more people will want to ride to destinations like schools, parks, shops and libraries. The key characteristics of quality cycle routes are pretty well established – safety, comfort, directness, coherence and attractiveness. The changes in Island Bay should lead to a significant improvement in comfort and attractiveness (followed by some extra safety-in-numbers effect).